Email marketing plays a significant role in promoting your website and gaining more trust of target users. If your site is a reputable one and attracts a lot of subscribers, then it will easily become a tool for gaining your profit. According to MarketingSherpa, 72% people prefer to receive promotional content through email, compared to 17% who prefer social media. In addition, McKinsey says that email is 40 times more effective at acquiring new customers than Facebook or Twitter. So I guess these statistics is worth taking into consideration when you decide to start your email campaign. If you run a web store, you own business or corporate website or you want to monetize your blog, email marketing is one of the most efficient types of promotion and a great way to establish a reputation in your niche. Sending regular email newsletters is an easy opportunity to inform your subscribers on new products or services available in your inventory; provide the brief information on the upcoming discounts, special offers or holiday sell-outs; or just share the latest updates from your blog. So choose your email marketing service and start your email campaign without hesitation, it’s well worth it. Here is the list of 5 services for sending email newsletters to your subscribers, check them out and pick the most appropriate one for your campaign. According to MailChimp statistics of 2018, the most opened emails with an open rate of 27.35% relate to hobbies. This means that if you run a lifestyle blog, share your cooking recipes, sew fashion clothes or create unique do-it-yourself tuts, you’ve got good chances to make a successful email marketing campaign as well as engage a big audience. If you’ve got enough readers’ emails to share your updates with, there is nothing that prevents you from starting to send your newsletters right away. 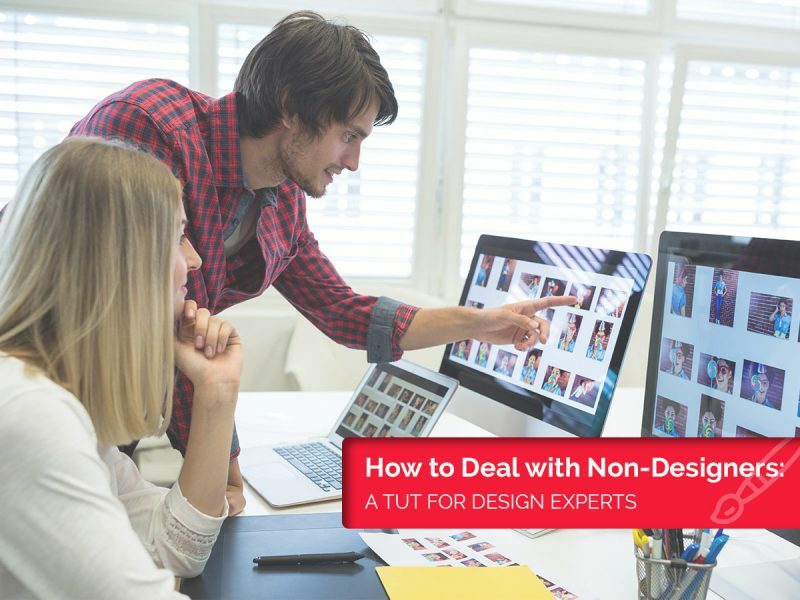 But if not, please check out our guide on how to capture emails without irritating your visitors and collect as many subscribers as possible during the shortest time. 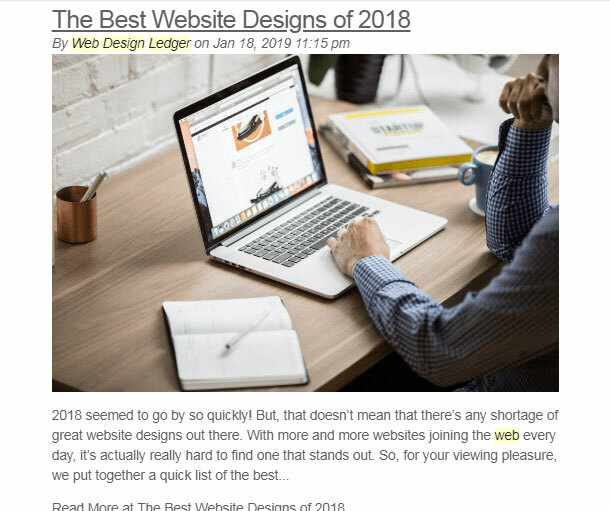 Another important question you should resolve before starting to regularly send your emails to subscribers is how exactly to create a clickable and head-turning newsletter which is going to engage the most of your target users. 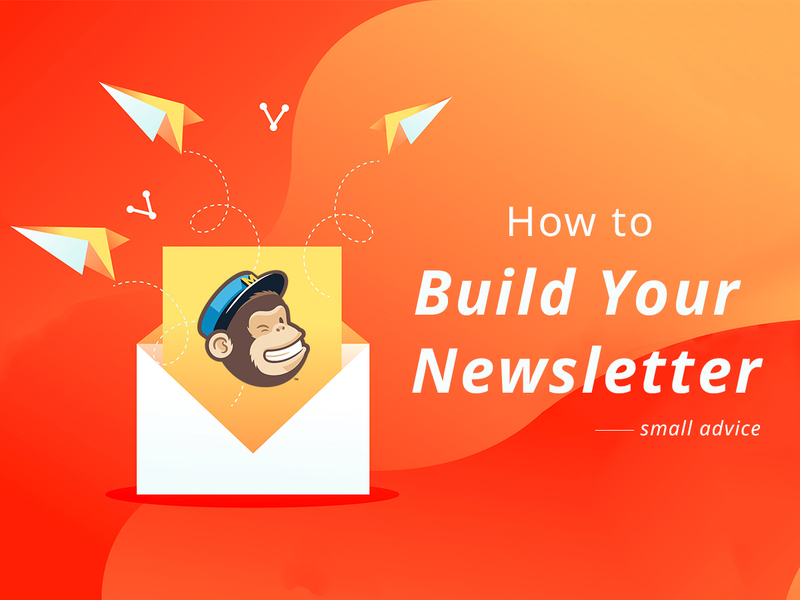 Even if the entire engagement is not your very first aim, you should just learn the basics on how to build the structure of newsletter to make people although open it and get interested. Most opened emails with an open rate of 27.35% relate to hobbies. 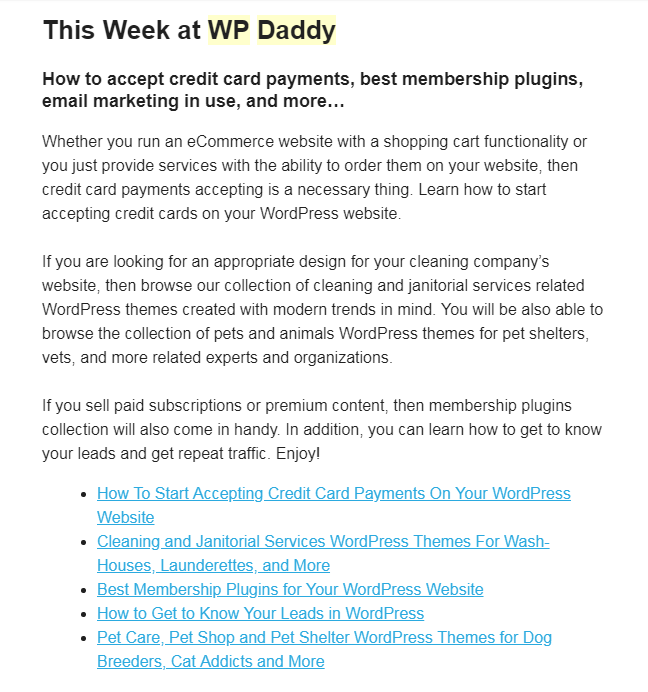 In this post I’d like to share my own remarks on how to create an email campaign and what examples I personally take for a model to make WP Daddy’s newsletters every week. Let’s see! 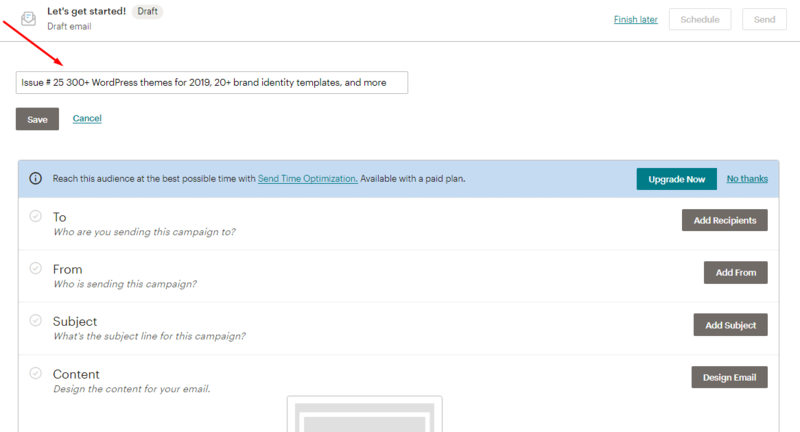 Below is the example of an email campaign which is being created with the help of MailChimp. The first task here is to create a name, so I make it like ‘Issue #…’. 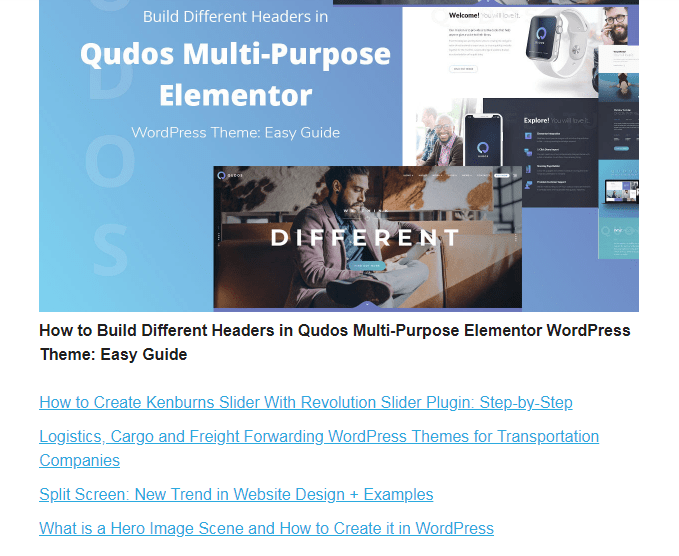 This style of making names for the newsletter was borrowed from the subjects of email campaigns by Designmodo and Codrops, although Codrops also uses the subject like ‘Collective #…’, which is also a great variant. 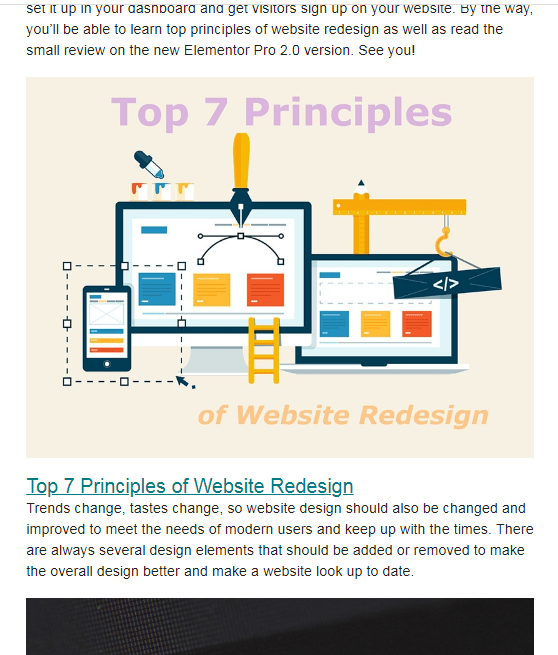 Another awesome blog called Design Shack uses the subject like ‘Newsletter #…’. 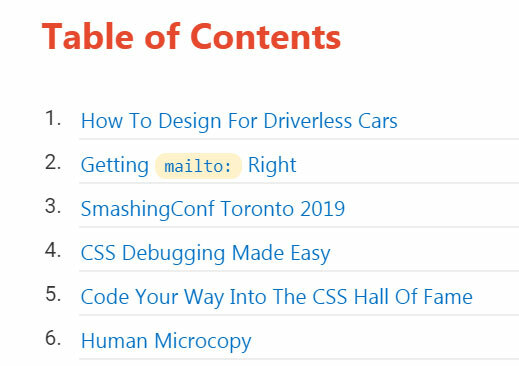 I give examples of the design blogs’ emails which often consist of a bunch of the latest updates with links, so such newsletters are always numbered. Except for the number, your newsletter name can epitomize the essence of your email. Trustful resources already have the army of devoted subscribers who wait for their emails and open them instantly right when they see the name of a sender. According to eConsultancy, 74% of marketers say targeted personalization increases customer engagement, and DMA states that segmented and targeted emails generate 58% of all revenue. These statistics prove that personalization is beneficial for your email campaign, so personalizing the ‘To’ field is quite important when you create your email newsletter. Add merge tags to display your recipient’s name instead of their email. For instance, if you add a merge tag like *|FNAME|* this will be displayed as ‘To: John’ instead of ‘To: john@example.com’. This will be more personal and more pleasant for a recipient. Every subscriber will feel like this newsletter has been crafted especially for him/her. 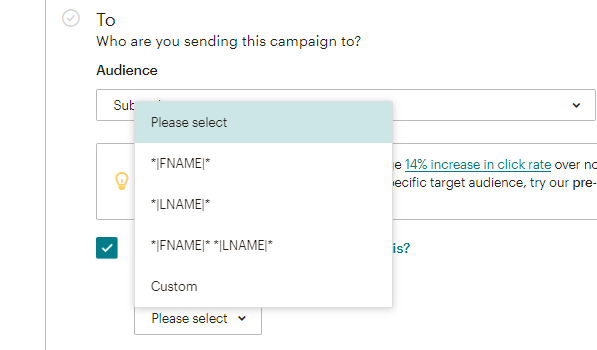 The merge tag means that your every subscriber’s name will be shown instead of *|FNAME|* when they receive an email. The ‘From’ field should also be personal, for instance, I call it like ‘Melany from WP Daddy’. By the way, I personally pay more attention to emails with the personalized ‘From’ field, for example, ‘Syed from WPBeginner’, ‘Ben from Elementor’, etc. This creates the feeling like these emails are written by a friend, and my inbox is full of good friends’ letters from trustful resources. The subject line of your newsletter will be seen in the list of all the emails your subscribers receive in their inbox, so it’s up to them whether to open any of them or not. The main task here is to make your subscriber or customer be interested enough to click and open your newsletter. For instance, if you want to share the updates on your content, add the comma separated titles of your several posts; if you want to inform your customers on the upcoming limited time offers and discounts, ask them to hurry up and name products they can purchase for the lowest price, etc. A personalized ‘From’ field creates a feeling like these emails are written by a friend. As for me, the email subjects which will make me click to open them are such as “Unique Gift for You Only”, “Finally, it is in stock”, “No Need to Wait Any More, It’s Yours” – but such names are only suitable for newbies, I mean the websites I’ve never heard about before. The updates from the well-known design blogs and trustful sites will be opened by me no matter what subjects they have. Popular email marketing services like MailChimp provide their best advice on how to create a perfect subject line. 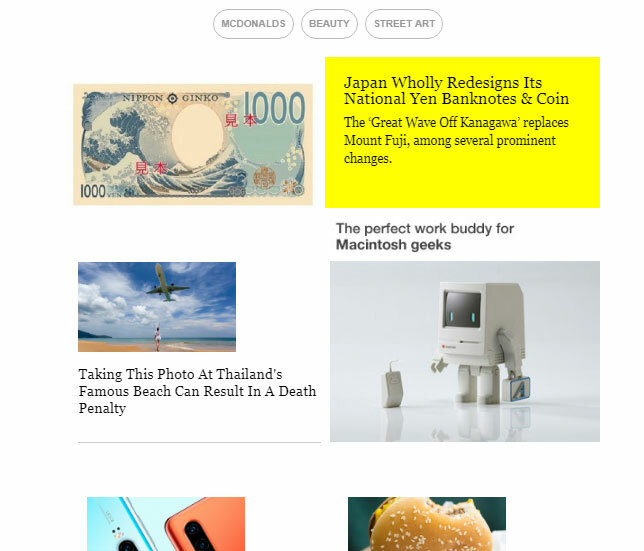 I am subscribed for lots of design blogs and I regularly receive their updates. 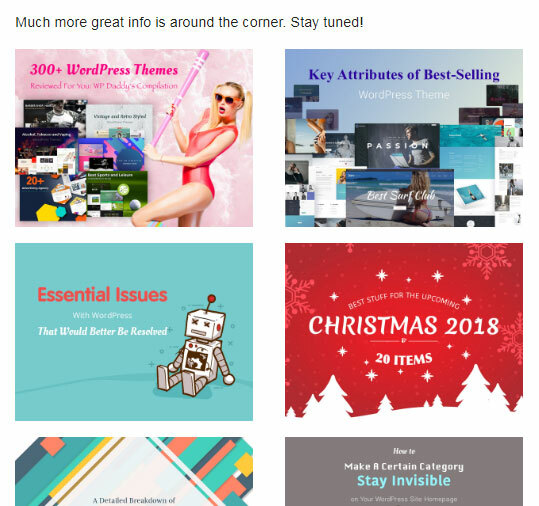 When I just started to make my own email campaigns I had a few newsletter examples that I liked the most, so I took the structure of their email for a model. 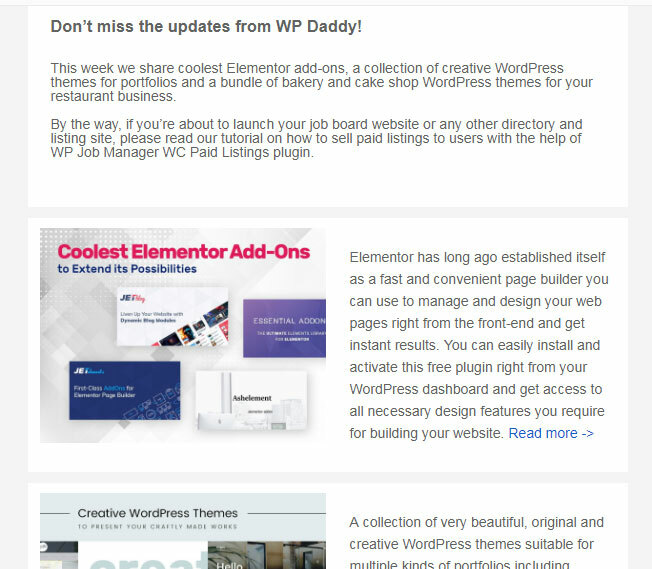 This newsletter template I used for WP Daddy email campaign starting from January 2018. So from the 90.08% of successfully delivered emails I had from 13.64% to 18.93% of unique opens and only 0.34% of unique clicks, though it was just the start. 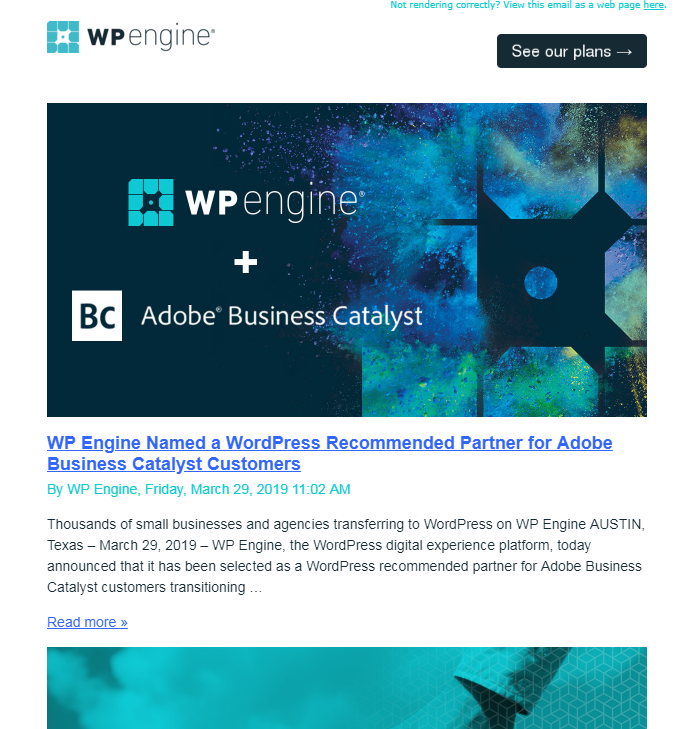 This example was used by WP Daddy since spring 2018, so such emails had from 12.9% up to 20.3% of opens and from 0.3% up to 1.2 % of unique clicks. I also used the example of Design Taxi alike grid. Such emails gathered from 11.8% to 19.1% of unique opens and from 0.3% to 1.7% of clicks. 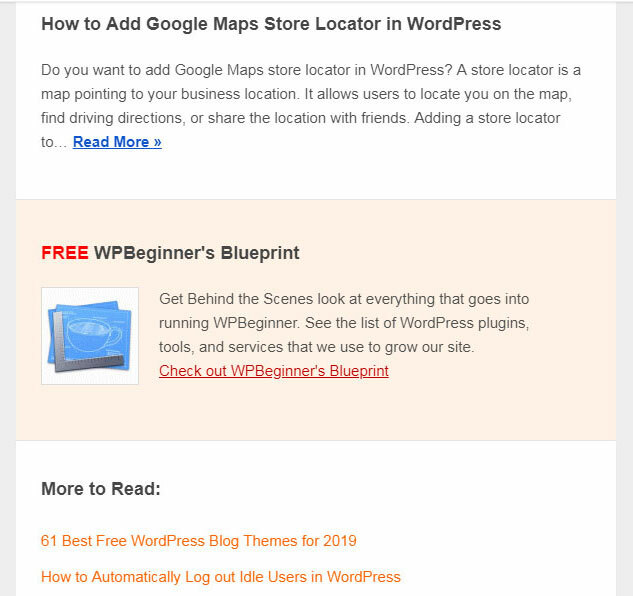 I also like the example of WP Beginner where every newsletter is dedicated to a single article and then a user is offered to read the related posts from the list below. I used such example only when it was necessary to promote a certain post and focus the users’ attention on it. 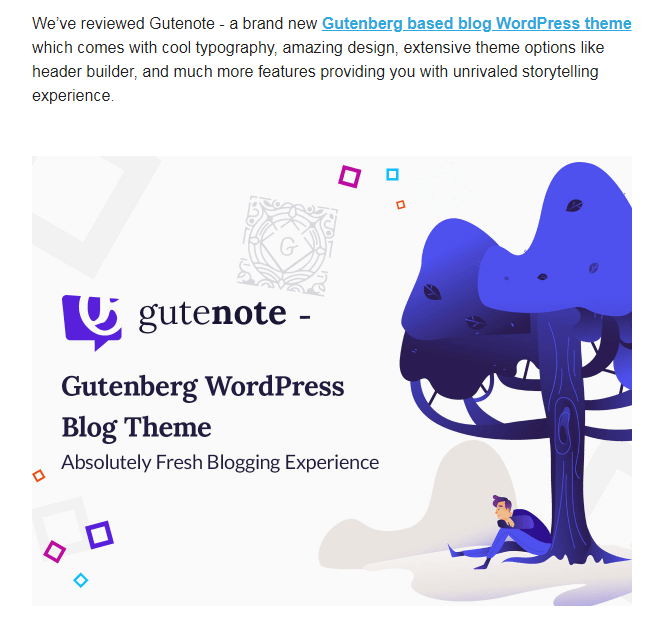 The same it was with the promotion of Gutenote WP theme for bloggers. 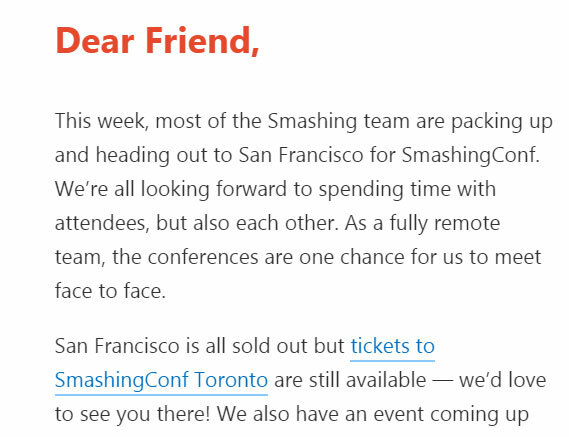 And now I use the Smashing Magazine example which supposes just the greeting message and a list of links. Such emails obtain from 11.0% to 18.6% of opens and from 0.4% to 1.2% of clicks. The latest variant has a more stable percentage of openings and clicks, so the figure doesn’t change from very low to very high. As you probably know, I’m just a beginner in creating and sending email campaigns, so right away I share my own statistics for you can make your own resume with the help of comparison. However, you can use any template which will be the most clickable one among your particular target audience. By now this is all, if you’ve got some more questions or concerns, please leave them in the comments. Thanks. Thank you for details. 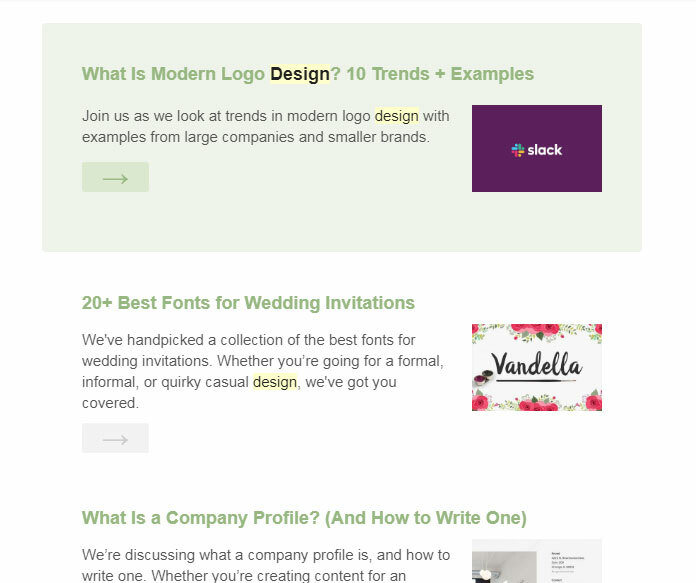 How can I upload the Postcards https://designmodo.com/postcards/ email newsletter to MailChimp? Hello, Andrew, thanks for your comment. I’ve never heard of such option available, so i guess I should learn it and write a post about it some time later. And as for your question now, I guess you should contact MailChimp support for details.